Hyderabad : As part of its thrust on precision oncology, the Apollo Cancer Institutes today announced the launch of `tomotherapy, an advanced radiation delivery system. Telangana IT Minister K T Rama Rao formally inaugurated the Tomotherapy Oncology Annexe at Apollo Cancer Institutes at a function here. 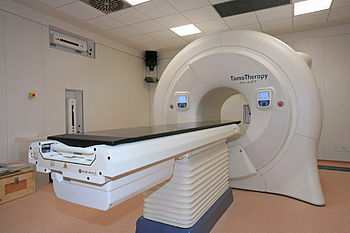 The CT scanner-mounted tomotherapy enables precise cancer treatment by tightly conforming the radiation dose delivery to the shape of the tumour, while being noninvasive and as painless as an x-ray, doctors at the hospital said. With this technique, cancers of the breast, prostrate, lung, rectal and brain tumours can be treated with great precision and least side effects, they said. Apollo Hospitals Group Chairman Prathap C Reddy said, “we are bringing the next generation cancer care within the reach of our people, in keeping with the promise of offering same level of healthcare here as anywhere in the world. This all-in-one system brings in the manoeuvrability to reach the radiation delivery in more controlled and with greater accuracy even in unreachable areas with least harm to the healthy tissue, the doctors explained.